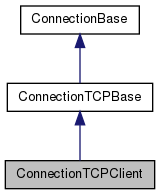 This is an implementation of a simple TCP connection. You should only need to use this class directly if you need access to some special feature, like the raw socket(), or if you need HTTP proxy support (see gloox::ConnectionHTTPProxy for more information). Definition at line 36 of file connectiontcpclient.h. 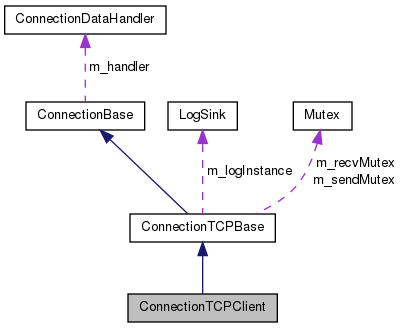 Constructs a new ConnectionTCPClient object. Definition at line 45 of file connectiontcpclient.cpp. Definition at line 51 of file connectiontcpclient.cpp. Definition at line 58 of file connectiontcpclient.cpp. Definition at line 67 of file connectiontcpclient.cpp. Definition at line 62 of file connectiontcpclient.cpp. Definition at line 125 of file connectiontcpclient.cpp.